Welcome, Cathy. 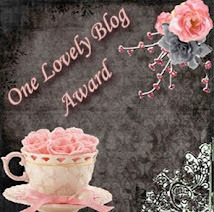 So glad to have you back on the blog. Lena, a very genuine thank you for the blog interviews you host. May God bless your spirit of sharing and may he multiply the effects of author’s words written for Him in 2011. I write because everywhere in everyday life I find that God teaches me or he reminds me about himself. I’m a teacher at heart, and I find nonfiction devotionals and study books an avenue of reminding Christians to shine. I understand that. My oldest grandson just returned from his deployment. This time to Afghanistan. How has being published changed your life? I think it’s humbling. First, to know that God entrusted me with stories, phrases, insight into scriptures, and venues to share with others. I’m still amazed that publishers think my words worth sharing. After all, they’re just what I call “farmscribe” words, down-to-earth, common sense, straight from this horse’s mouth. I’m reading Zondervan’s The Bible in 90 Days, so I guess I’m working on 66 books. I always have my bookmarks in several books at one time. These are the books I’m reading and re-reading right now: The Gospel of Ruth ~ Loving God Enough to Break the Rules by Carolyn Custis James, Babes with a Beatitude ~ Devotions for Smart, Savvy Women of Faith by and Linda P. Kozar and Dannelle Woody, and My Utmost for His Highest by Oswald Chambers. I have a copy of The Help by Kathryn Stockett that I’ll start reading soon. Since, I just finished A Still and Quiet Soul: Embracing Contentment, I’m brain-twiddling to figure out what to offer up next. I have another devo manuscript almost finished: Tambourines and Tear Bottles (working title), and I want to write some more group study books. I’m looking over lesson series that I wrote and taught to women’s classes in the past; maybe I’ll work on rewriting those to a current audience. I’m also writing a series for my newspaper column in 2011 that could turn into a yearly devotional, taking them one verse at a time through the books of the Bible. Christmas in Bethlehem and then an extended tour of the Holy Lands. I don’t write much fiction. Although A Still and Quiet Soul: Embracing Contentment does have a chapter where part of it is biblical fiction entitled “Wait, Elizabeth—God Has a Surprise for You Too.” It’s about embracing contentment during our waits and how God’s answers are far superior to our wishes and wants. I do have a complete fiction manuscript, and it has a rural, small town setting because that’s what I know. A biblical scholar. My ancient copy of the Bible is strewn with question marks. And, I’d point to the first question mark I placed beside verses in the book of Genesis and say, “Start here….tell me what you’ve discovered that this means?” David Bivin in Jerusalem, Israe,l is probably my first choice. Or Paul Maier, NT scholar. I’m about to start his novel, The Skeleton in God’s Closet. I've read that novel. You'll find it interesting and thought provoking. What are your hobbies, besides writing and reading? While I don’t collect teapots, teacups, and tea things anymore (just occasionally I will still buy something at a flea market), I really enjoy hosting people in our home: one or more for a meal, a grandchild, or a few women for a luncheon. Nothing stressful. Because I’m Martha-to-the-bone on some days, I keep meals simple, and do my best to invest my time in my guests. Sounds like a place I'd like to visit. What is your most difficult writing obstacle, and how do you overcome it? Paperwork and little time. In our business I have many things of which to keep track. Did you know truckers with apportioned tags have to keep records, besides log books, of every single road they drive on, where they buy fuel, how much they bought and the price per gallon? That’s in addition to all the other records we are required to keep. At this stage in life we are also providing comfort and care to our aging parents—four of them in their 80s and 90s. How I overcome my obstacles: I’ve hired help with our business paperwork, and that alone gives me more time to meet my family’s needs. I’ve also dropped out of all outside organized activities because of my present circumstances with parents’ needs. The excellent thing about writing is that I can write at 10:00 p.m. or 3:00 a.m. Every day, I’m grateful for this outlet of expression which fits into the servant role God has called me to with our trucking business, parents, children, and grands. This hint comes via Anne Lamott, in Bird by Bird she recommends keeping index cards in purse, briefcase, car, or in a jeans’ pocket, ready at all times, to write down keen thoughts, overheard conversations, sights, sounds, colors or textures. I’ve been doing this for years, and have found exact scenes and sentences to use my jotted hints. They remain fresh and bring vibrancy to dialogue or settings. A Still and Quiet Soul: Embracing Contentment covers topics such as worry, complaining, clutter, or how our thoughts contribute to discontentment. The book is designed for individual or group Bible study. Each chapter contains my study, thoughts, and anecdotes about the topic connected to learning contentment, eight study questions, two praise and petition scriptures upon which to meditate. Also, in each chapter I’ve included one personal essay from male and female Christians, who struggled with contentment and how they arrived at a better place. I’m keenly aware of those times when total contentment settles upon me, when nothing niggles at my conscience causing unrest. I include in this list the nights when my adult children and their children rest safe and sound in their homes. They abide in their nests, as my husband and I do in ours. Add a soft rainfall, evidence of God tending the earth, and my night becomes ideal. Those circumstances come as close to perfect as nights on this earth ever could. Contentment sweeps over me. A sweet sleep descends. But what about opposite days when life-glitches hobble me? Sometimes, it seems the smallest negative happening can topple a glass of milk into my day, soaking the seams of morning, noon, and evening, dampening what I thought would be a beatitude day, a blessed day. On those days, what causes my thoughts to turn from blessed to beat down? Can I ignore the spilled milk and go about my day contented, extending goodwill to others? God wrote the ultimate Contentment Manual, so this study guide, A Still and Quiet Soul: Embracing Contentment, serves only as a supplement. We’ll consider how biblical characters faced their ordinary days, their disappointments, and their triumphs. You’ll read first-person accounts of current believers and sidle up to their mishaps and successes to see anew how prayer, trust, and, praise undergirds contentment. Journey with me and let’s discover what—or better yet—Who, nurtures contentment within each of us. The psalmist’s reflections about quieting himself waltzed around in my heart for months. They slow-danced with questions about contentment, but the waltz faltered when I remembered the many difficulties in life. Soon, the waltz stopped completely, as I imagined contentment wrapping her arms around tragic events. How is it possible for contentment and tragedies to remain in rhythm? Allow your mind to dwell on contentment for a week or so and questions will surface. I don’t have all the answers, but I’ve experienced enough of life to know that learning contentment is worth the journey. Thank you, Cathy, for this interesting glimpse into your life. Welcome back, Jill. Why do you write the kind of books you do? I love biblical fiction. When I was in my teens, I read Two From Galilee by Marjorie Holmes. When I closed the last page on that book, I thought, “These people were real!” I fell in love with the Bible after that and have loved biblical fiction ever since. I hope my stories do the same for my readers. I loved that book, too. Besides when you came to know the Lord, what is the happiest day in your life? I’m not sure I could pinpoint just one happy day. Some of my happiest days have involved my marriage, the birth of my children, seeing my sons come to faith in Christ, and so much more. Impossible to choose just one! I’m busy in a different way. When my boys were young, I homeschooled them. Life was full and never dull! I was also learning the craft of writing during those years, so I was always working at something. Now my work centers more on writing, answering emails, keeping up with social networks and maintaining in person and online friendships. I worked myself out of a job in my first homeschooling mom career. I’m grateful that God has given me another to take its place. I’m studying Isaac and Rebekah’s story in the Old Testament and reading Matthew in the New. I usually have several books going at once – fiction and non-fiction. A recent read was Jules Verne’s Around the World in 80 Days. Loved it! Rebekah (working title) book two in The Wives of the Patriarchs series. Hmm…I took my dream vacation in 2008 when we went to Israel. I would go back in a heartbeat. California holds a special place in my heart, and I would like to visit more cities there, particularly Carmel-by-the-Sea. I would love to see Europe someday too, and if the Middle East is ever peaceful, I’d enjoy touring the ancient ruins of Babylon to explore the history of ancient Mesopotamia (my setting for this series). I've been to Carmel-by-the-Sea. It's lovely. How do you choose your settings for each book? The Bible chooses the settings for me. The Wives of King David series had its settings in ancient Jerusalem, ancient Gibeah, ancient Philistia, and ancient Judea. The Wives of the Patriarchs is set back 1000 years in ancient Mesopotamia, ancient Egypt, and ancient Canaan. I haven’t done much else lately! I like to watch movies and listen to music. In the past I have crocheted, knitted, cross-stitched, done picture scrapbooking, and I enjoy sitting down to play the piano. I like to bake now and then too. Plotting is hardest for me – gives me a headache every time! But my current obstacle is getting to know characters in the Bible of whom very little is said. The only way I’ve been able to figure out who these people were is through much prayer and much research. Study the craft and write what you love. There are no shortcuts to becoming a professional author. Writing is hard work and like any other profession it takes study and perseverance to improve. When I taught piano, my students had to start at the beginning, learn the basics, and practice, practice, practice. Those who didn’t, did not progress. Writers write and the only way to improve is to write, write, write. It’s worth the effort if you love what you’re doing. If you don’t love the journey, you will not enjoy the end result. Bathsheba’s story is one of misplaced longings and life-altering choices. Like many women today, Bathsheba came from a military household. Her father and her husband were both captains in King David’s elite forces, which probably meant they saw a fair bit of action, leaving Bathsheba often alone. For a woman of her day with no children at that time, her husband’s absences were great breeding ground for discontent. For David’s part, he had reached the pinnacle of his career and grown accustomed to wealth and power. Her loneliness and his arrogance led to some devastating choices. David got what he wanted when he took Bathsheba, but at great cost. In the end, both David and Bathsheba had to learn the redemptive power of God’s grace and the true meaning of love. Darkness curtained the sky, hiding the stars, sheltering Bathsheba in the inner courtyard of her home. She clutched the soft linen towel to her chest, shivering, while Uriah stood with his back to her, a sentry guarding her privacy. “Of course you must do this, but hurry, dear wife.” His mischievous tone heated her blood. Suddenly the chilly spring breeze seeping from her bare feet to the rest of her robe-draped body didn’t seem quite so cold. “Yes, husband. Would you like to help?” Her tone teased him, and she took courage from his own playful manner. She had Tirzah, her maid, to pour the water over her head, but if he was in such a hurry to be with her . . . He turned to face her, his dark eyes pools of interest. She had never suggested such a thing before. Tirzah always helped her do this. It was a woman’s place, a woman’s ritual. Would his strict adherence to the law of Moses let him help her? You can download and read chapter one at http://www.thewivesofkingdavid.com/ on Bathsheba’s home page. Thank you, Jill, for this glimpse into your life and work. I can hardly wait for my book to come. Today is a really fun interview with the authors of this devotional book. I love each one of these women, and I know this devotional will lift you up and keep you laughing. I'm the team leader on Summerside's line of devotionals. We have another one coming out later in the year with Trish and me, along with Loree Lough (from Be Still) and Cynthia Ruchti, the newcomer to our team. I'm working on three more novels to follow last year's Always the Baker Never the Bride, all of which will be set in the wedding destination hotel of the original. The first sequel (Always the Wedding Planner Never the Bride) is due out this fall. I'm an armchair interior designer, addicted to HGTV. I'm also an activist for dog rescues and the humane treatment of animals, as well as an avid fundraiser for ovarian cancer research. In fact, a portion of the proceeds of each of the devotionals, including this one, will be donated to the Ovarian Cancer Research Fund for their ongoing effort to find an effective diagnostic tool and eventual cure for ovarian cancer. I'm a survivor of the disease,as is my co-author, Diann Hunt, so it's a very personal battle for me. We're writing these fun, contemporary devotionals to minister to women just like us--busy women with a real need for finding a way to keep our relationship with the Lord at the forefront of everything else. My prayerful hope is that every woman who reads our book will be blessed in that way, reminded that there's hope beyond the storm, and able to take even just a few quick moments to remember His love. My journey is nothing like I thought it would be! I have four incredible children. Three boys (16, 15, 12) and one lovely daughter (10). I LOVE teenagers and pre-teens and I know this isn't normal, but they are so interesting and funny and delightful. I can't wait to see what they all turn out to be. We also have an adorable Yorkie-Pom named Fiona who sits under my desk while I write. Yes, I wrote Facing Terror with Carrie McDonnell, an Iraqi missionary who was the only survivor of a terrorist attack that killed her husband and three other missionaries. I didn't know that, Kristin. Interesting. Do you have any other books in the works right now? Yes, Perfectly Invisible, a young adult novel for Revell; A Billion Reasons Why, a romance for Thomas Nelson and Smitten, a novella with Diann Hunt, Denise Hunter and Colleen Coble. I knit while my sixteen year old and I watch "Ghosthunters." He's a fact man and fills me in on all the history beyond the show. It's a great segue into spiritual discussions. Something you're not likely to get regularly from a teenager. Ovarian cancer, which this book will benefit, is very personal to me. Not only have I watched two friends struggle through it, but my Nana was diagnosed with it years ago. I prayed while she was in surgery. Her Stanford oncologist said her body was riddled with the cancer. I'll never forget his face as he stripped off his surgical cap and said, "Nothing. There was no cancer." I want all ovarian cancer to end this way and that's the reason I feel so strongly about this devotional and what it can do for awareness for the disease. I, too, have had close family members and friends with this terrible disease. What do you want the reader to take away from the book? I want them to enjoy their time with God. It shouldn't be pulling teeth to spend time with the One who loves you immeasurably. I’m a two-time cancer survivor and am thankful for every breath I take! God has miraculously given me the gift of joy and I praise Him for my life, all of it, the good and the bad (though I have to say I enjoyed the good part a whole lot more). I’m thankful for eyebrows, eyelashes and two-inch hair! :-) Mostly, I’m thankful for YOU and the opportunity to serve you. I’ve been married for thirty-five wonderful years. We have a daughter, son and six grandchildren (five girls, one boy, bless him). We love to spend time together and do so every chance we get. No, this is my first nonfiction book. Though I love to read nonfiction as well as fiction. Yes, I’ve recently finished my fiction book, Love Letters in the Sand that is scheduled to release this summer with Summerside Press. It’s a warm-hearted romance set in 1957. I really want to feature that book on this blog, too. What kinds of hobbies and leisure activities do you enjoy? Me, too, all of the above. Why did you write the featured book? The JOY of the Lord is her strength. Life is hard but God is always good. Stay in the Word. Trust Him. Enjoy the journey! I’m a habitual eavesdropper. Everywhere I go, I listen to conversations around me, and sometimes I can’t help but interject my thoughts. Most people don’t seem to mind, and I’ve made some very good friends when they realize I’m harmless. You are so funny. Tell us about your family. I’ve been married to Wally for more than 30 years. We have two beautiful adult daughters, a handsome son-in-law, and the cutest little granddaughter ever. I was one of the writers of Be Still…and Let Your Nail Polish Dry that came out in 2009. Sweet Baklava from Abingdon Press released in March 2011. I’m finishing Unlikely Match, the third Heartsong Presents in a series set in the Sarasota, Florida, Mennonite community. This book will go to book club members in December 2011 (Shades of the Past came out in March 2011, and Trusting Her Heart in September 2011). Next fall, Appalachian Weddings, Barbour’s 3-in-1 Heartsong Presents repack of my West Virginia series will be available in stores. Trish Perry and I are working on an anthology for Summerside Press entitled Love Finds You on Christmas Morning that will be out in September 2011. Waaaaay in the future—2013 and 2014—I have a women’s fiction series coming out with Abingdon Press. The first three books in the “Class Reunion” series are All Prettied Up at the Cut ‘n Curl, Fancy Is as Fancy Does, and Stylin’ with Ms. Prissy Big Hair. My absolute favorite pastime is reading. I love to go for long walks around alligator-infested swampland (I live in Florida) and on the beach at sunset (the West Coast of Florida). I enjoy playing a lot of different sports, but I’m not very good at any of them. I had such a wonderful experience with Be Still…and Let Your Nail Polish Dry, there was no way I could turn down the opportunity to work on the Bad Hair book. I’m fans of all the other authors, making this experience even more fun! I pray that our stories will speak to women, and I think they will because we shared so many different experiences. I also like the fact that we’re donating some of the proceeds to OCRF because this organization has helped so many women who are diagnosed with ovarian cancer. I want women to enjoy our stories, see that they’re not alone in the trials of life, and find something in the scripture verse and prayer as they read each devotion. I’d like them to know that I love people, I love to laugh, and I feel amazingly blessed by the life God has given me. Honestly. Sometimes I can’t believe how kind and generous He’s been to me. I wish every one of my readers a life as blessed as mine. I have a gorgeous adult daughter who’s the most upbeat young woman I know. She’s married to a terrific young man who actually loves to communicate conflicts away (can you imagine? ), and they live (with my hilarious grandson) about an hour away from me. And my sweet, brilliant son is a freshman in college, studying cinema. He’d like to make films like Lord of the Rings and Braveheart. My kids are amazing people—they’re my friends for life. No! I never thought I would enjoy it. But I thoroughly loved writing these devotionals, especially because of the many things God revealed to me while I researched each verse. Yes, I have two books releasing in the spring of 2011 (Unforgettable, with Summerside Press, and Tea for Two, with Harvest House Publishers). I have a Christmas release—Love Finds You on Christmas Morning, with Summerside—in September 2011, which Debby Mayne and are writing together. I’m on another devotional team for the follow-up to Bad Hair, and I’m writing a novella (working title: “Labor of Love”) for a Barbour Publishing collection with the working title of The Midwife’s Legacy. That has a March 2012 release date. Naturally, I’m a big reading fan, of nearly every genre, both inspirational and secular. And I love good films and funny or intriguing television shows. Time spent with my local girlfriends is a real treat, and I do that whenever we’re all able to fit our schedules together. I was impressed with Summerside’s Be Still and Let Your Nail Polish Dry, so when I was invited to join the Bad Hair girls, I jumped at the chance. I had written a single devotion here and there in the past, but never so many as this. I thought it would be an enjoyable change of scenery from fiction, and I was right. I’ve loved getting to know my fellow authors on this project. Wonderful women! And I think the devotionals will touch a lot of hearts and make readers laugh on occasion as well! I’ve been using Be Still as my daily devotional for the past couple of weeks, and I hope readers will experience with Bad Hair what I have with Be Still. Even though each day features a single verse, I’ve been reading the entire chapter from which each devotional verse is taken. So I’ve felt deeply enmeshed in God’s Word and direction before reading the application each day. The application provided through the devotional has been like a delectable dessert each morning. I’m amazed at how often an issue in my life has been addressed either by something in that Bible chapter or by something the devotional author has written. I hope the Bad Hair readers experience that same sweetness each day. Wow! Ladies, this has been a really fun interview. I read this book before it released, and it is awesome. I love Richard's medical suspense novels. Welcome, Richard, God has really been moving in your writing life. What do you see on the horizon? I feel like I’ve been on a fast ride. Diagnosis Death is my third novel published in the space of twelve months. The fourth, Lethal Remedy, will come out in September, and after that things should slow down. I’m working on proposals for a couple of novels, and waiting to see what doors God will open next. As you know, my first wife passed away in 1999 after forty years of marriage, and I was devastated. But God has blessed me once more with the love of a wonderful woman, and Kay and I have recently celebrated our tenth wedding anniversary. She deserves a great deal of credit for keeping me on an even keel. We have five grandchildren, three boys and two girls ranging from 12 to 2 years of age, and because they all live in the region, we stay busy with grand-parenting duties. But they keep us young. I know what you mean. We have two grandsons, two granddaughters, from 25 to 15, and one great grandson, who is alomost 4. Has your writing changed your reading habits? If so, how? Well, it’s taken away some of the time I used to spend reading for pleasure. And it definitely has changed the way I read. Alton Gansky, in one of the first workshops I attended, said, “If you start writing, you’ll never read the same way again.” And he was right. When I read a novel, I’m always aware of how an author draws me into the book and keeps my interest. Unfortunately, I’ve also become much more aware of slip-ups like shifting point of view and use of the passive voice. I have two projects, one of which is another medical thriller featuring a male protagonist, a physician, and a strong female character, an attorney. He wakes up from a head injury and finds himself accused of murder, but has no idea why. The other is a bit of a departure from my usual “medical suspense with heart,” in which I interweave the stories of three main characters: a female doctor whose marriage is crumbling, a male medical student who’s struggling with life decisions, and a nurse who’s fighting for her life. They both sound interesting to me. What outside interests do you have? Since the death of my first wife, a good friend and I have played golf every Wednesday. We’re heretics, because we don’t keep score and have no qualms hitting another ball after a bad shot. Kay and I are active in our church, Stonebriar Community Church, where we are involved in a home fellowship and help facilitate the new member class. And, of course, there’s grand-parenting. I’ve chosen to set my books in the area I know: North Texas. All take place either in Dallas or in a fictitious smaller city that I’ve put together from experience in my hometown, the city where I attended college, and the suburb where I’ve lived. It certainly cuts down on my research. A novelist has to be able to drop clues into the work and at the end put them together, much like a doctor interpreting a history and looking over lab test results. I’d like to spend an evening with Sir William Osler, the father of modern medical diagnosis. I think it would be fascinating to hear some of the pearls he’d impart. Wow, just one? I guess it would be that the craft of writing isn’t simple, and once you have mastered the fundamentals it’s going to require hours and hours and hours of writing before it eventually starts to come together. Maybe that would have kept me from being so impatient. Every day can present a challenge or a reward, and I have to be prepared for either and accept them both with grace. Learn the fundamentals from people who communicate them accurately. Write, write, write. Then have the work critiqued by someone who’s knowledgeable, and revise it. Be patient. Never submit a book until you’ve polished it as well as you can. You only have one chance with agents and editors. The whispers about Dr. Elena Gardner said “mercy killer.” It starts with her husband’s death in the ICU, continues when another patient under her care dies, and eventually drives her to another city. But a change of scenery doesn’t stop the rumors or the midnight phone calls. Why doesn’t she defend herself? What’s her secret? She stood by his bedside and waited for him to die. Outside the room, the machines and monitors of the ICU hummed and beeped, doctors and nurses went about their business, and the hospital smell—equal parts antiseptic and despair—hung heavy in the air. With one decisive move she flipped the switch of the respirator and stilled the machine’s rhythmic chuffing. In the silence that followed, she imagined she could hear his heartbeat fade away. She kissed him and exhaled what passed for a prayer, her lips barely moving as she asked for peace and forgiveness—for him and for her. She stood for a moment with her head bowed, contemplating the enormity of her action. Then she pocketed the empty syringe from the bedside table and tiptoed out of the room. I'm telling you, Readers, you won't want to miss this one. How can readers find you on the Internet? My website is http://rmabry.com/. I blog twice a week at Random Jottings: http://rmabry.blogspot.com/. And I’m on Facebook and Twitter as RichardMabry. Thanks for spending this time with us, Richard. Educated in Bermuda, England, and Canada, Catherine holds a degree in English from the University of Toronto. When she’s not at the computer working on her next story, you can find her taking her Border Collie for long walks or tending to her roses and orchids. Catherine and her husband live on the beautiful island of Bermuda, with their two college-aged children. 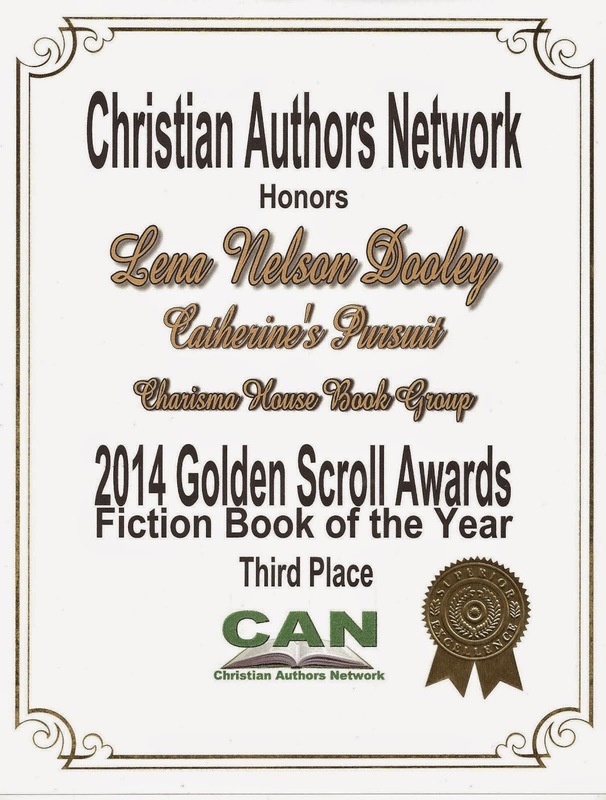 Catherine is a member of Romance Writers of America, and American Christian Fiction Writers, and is a founding member of International Christian Fiction Writers. Catherine’s debut novel Yesterday’s Tomorrow, released March 15th, through OakTara Publishers. I'm thrilled to introduce you to my friend Catherine West with her debut novel. So tell us how much of yourself you write into your characters. I suppose there is a bit of me in my characters, but I don’t think a great deal. I like to write about unique characters, and most of them do things I would never do! Well, I’m not really a ‘quirky’ kind of gal, but I guess recently – I decided to make my launch party into a ‘60’s themed party, since that is when the book takes place. I’m sure my friends and family think that is pretty quirky! I’ve always loved to write. I think probably after I completed my first full length novel in my twenties, and my sister-in-law, an avid reader, told me it was as good as anything she was currently reading. I love to read romance, CBA and secular. 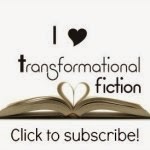 I love general fiction as well as some historicals. I love British Fiction as well, Rosamunde Pilcher, Maeve Binchy, Barbara Taylor Bradford. I take breaks by walking with my dog, gardening, reading and watching movies. And of course prayer helps! Sometimes this is easy and they pretty much tell me who they are. Other times I’ll pick names and end up changing them after a few weeks of writing. I try to go for unique names, but not ‘weird’ ones. Most of the time they’re pretty ordinary though. Right now I’m most proud of my first published novel. I had a lot of hard days when I honestly didn’t think it would happen. I’m really pleased I stuck with it. I’m a dog person, so I’d have to say dog. They are loyal, faithful, happy, and always eager to please. I love a roast lamb dinner, and of course anything Italian is just fine with me! I started out writing in past tense and head-hopping, so I had to work really hard to overcome those habits. There is a Prologue, but this is from Chapter One. The early morning sun’s rays jack-knifed off the tarred surface. A stifling heat sliced through her sneakers, raced through her, and smothered her in its welcoming embrace. The pungent smell of gasoline flooded her senses and stung her eyes. Kristin pulled on dark sunglasses, tried not to breathe too deeply, and looked down the runway. She stepped aside to let others pass as she surveyed the area, the slow thumping of her heart picking up its pace as she began taking mental notes. Aircraft of varying description lined the blacktop. Everything seemed larger in real life, from helicopters to small fighter jets to the Pan American Boeing 707 that had brought her here. Gray, green, and brown flying machines blended together in an impressive show of US military power. Very gripping. How can readers find you on the Internet? Thank you, Catherine, for spending this time with us. Several people who left comments weren't included in the drawing, because they didn't read all the instructions and follow them. You must tell where you live, at least the region. Robyn (NE) is the winner of Abigail's New Hope by Mary Ellis. Lindsey (Pacific NW) is the winner of A Heart Most Worthy by Siri Mitchell. Bluerose (AL) is the winner of Surrender the Night by MaryLu Tyndall. 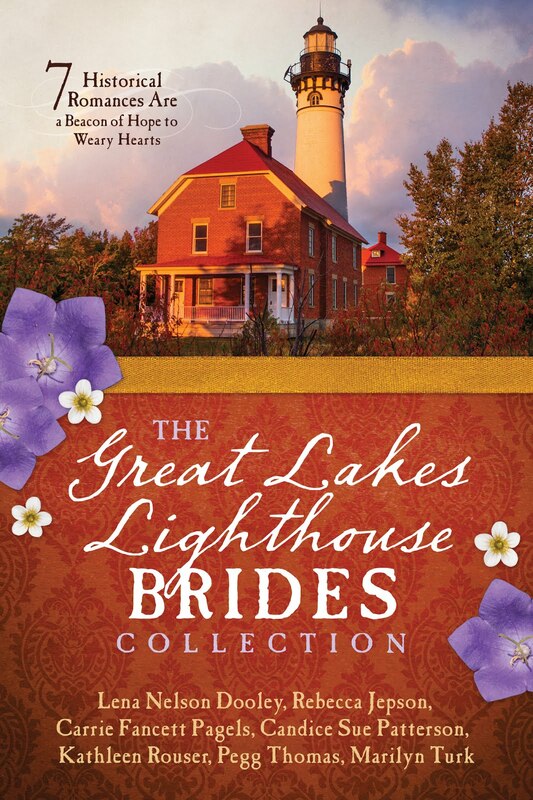 Michelle (KY) is the winner of Jersey Brides by Laurie Alice Eakes. Rbooth43 (NC) is the winner of The Mountains Bow Down by Sibello Giorello. If you won a book, please give the author the courtesy of writing a review on Goodreads, Amazon.com, Christianbooks.com, or other Internet sites. Thank you. So glad to welcome you back to my blog, dear friend. Tell us about your salvation experience. Lena, there never was a time in my life when I didn’t know for certain that Jesus was my Savior. I remember going to Sunday school when I was very small, and our sweet teacher told our class about God’s salvation. I believed with the innocence of a child, and from that time on, I loved learning about Jesus. At first, John 3:16 was the verse that I loved the most because it encapsulates all the Truth of salvation. Then I fell in love with Ephesians 1:6, “He hath made us accepted in the Beloved.” What a precious truth. Finally, Psalm 47:4 says, “He shall choose our inheritance for us.” I believe that means God has chosen a path for each of us, and to seek and follow that path leads to the greatest joy in life and for eternity. Because I write historical fiction, I would love to sit down with authors of the past whose work I admire and who have influenced me. I would choose Jane Austen, Charlotte Bronte, Charles Dickens, and Lew Wallace. The first three are English authors who really understood human nature, both good and evil, and the tragedy that strict social structures can cause. Wallace wrote Ben Hur after spending several years trying to prove God did not exist. At the end of his journey, he found Jesus, just like his character. These authors could tell me what life was truly like in their time periods, and with that knowledge, I could write more realistic stories. I do have a speaking ministry, but it’s not the typical kind. I teach Composition and Humanities at a community college, and I begin each class with a “thought for the day.” Sometimes these are Bible verses or quotations from great Bible teachers, other times they are words of wisdom from secular sources that reflect biblical truths. In my course work, I assign stories that honor God. In classroom discussions, I try to draw out Christian students and give them the opportunity to share their faith. While I can’t preach to my students, I do try to be a light for the Lord in my fairness and (I hope) kindness to each student. Sounds like a delightful class. People are always telling me that they’d like to write a book someday. I’m sure they do to you, too. What would you tell someone who came up to you and said that? I tell people the same thing my friend said in 1984 when I told her I wanted to write a book: Go home and write it! So I did. Then, after going back to college and getting my degree in creative writing, I was able to edit that book, and it became my first publishing credit. I always tell people, “If I can do it, you can do it. So go do it! At the Captain’s Command is the third book in my Revolutionary War series with Harlequin’s Love Inspired Historical line. Loyal to the British Crown, orphaned Dinah Templeton has vowed never to marry a seafaring man, for her father died at sea and her merchant captain brother is always away. 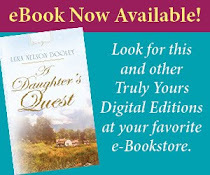 But when Captain Thomas Moberly sails into St. Augustine to defend the East Florida shores from American pirates, Dinah finds that her heart may overrule her head regarding this seafarer. Captain Thomas Moberly, captain of HMS Dauntless, has been assigned to capture the notorious American pirate Nighthawk, who plagues the Atlantic coast of East Florida. War-weary and hoping for a refreshing visit with his brother and sister, who live near St. Augustine, Thomas never expects to find love. But how can he resist the lovely Miss Templeton, even though she is what his father, Lord Bennington, would call a common American? An intriguing story idea. Please give us the first page of the book. The instant Dinah saw the three naval officers, she ducked into the mercantile and hid among the stacks of goods. To her relief, the men, grandly uniformed in indigo wool, gold braid, and black bicorne hats, continued up St. George Street. Yet she could not help but notice the well-formed profile of the captain among them. A strong jaw. High cheekbones. Jet-black hair tied back in a queue. She wondered what color his eyes were. What was she thinking? She quickly turned her attention to a display of awls and knives laid out on a shelf. "How may I help you, Miss Templeton?" The rotund, middle-aged proprietor approached her, admiration gleaming in his dark eyes. "Some silk for a new gown, perhaps? My latest shipment of lace has arrived and—"
"No, thank you." Dinah lifted her basket of lavender flowers from her arm and held it like a shield as the widower moved closer. Coming in here had been a mistake. "I do not require anything." Tension tightening in her chest, she hurried toward the door. He reached it first, and his eyebrows arched. "I have tea from China and…"
Dinah drew herself up to her full height and lifted her chin. "Please allow me to pass, Mr. Waterston." I can hardly wait to read it, and my copy arrived today. How can readers find you on the Internet? My website is http://blog.louisemgouge.com/. I’m also on Goodreads. Thank you, Lena, for having me as your guest! My pleasure, Louise. Come back anytime. Welcome back, C. J. Why do you write the kind of books you do? I try to write the type of books I would like to read. One of my favorite genres is suspense, so there’s usually a thread of that in my stories. But I’m also drawn toward deep characters and situations that demand a lot out of them. I love stories where hurting people find hope and forgiveness. Through my writing I hope to share the Greatest Story Ever Told by showing no one’s ever too far gone for God. It only takes one step back to Him, or one step toward Him you’ve never taken, to find yourself wrapped in His loving arms. One of the most exciting days in my life so far was when Jerry B. Jenkins announced my first novel Thicker than Blood as the winner of the 2008 Christian Writers Guild Operation First Novel contest. For so many years I’d dreamed of sharing my fiction with readers, but winning the contest made the dream come true. I’ll never forget that. I'm sure you won't. How has being published changed your life? It’s allowed me to share the stories that have been crowding my head for years. That’s a wonderful blessing. But I’m the same person now that I was before I was published. I think a misconception people have about being published is that it will change your life. I know what you mean. I'm still a wife, mother, grandmother, cook, etc. I just happen to write novels. What are you reading right now? Over the Edge by Brandilyn Collins. It’s a fascinating glimpse into the trials people with Lyme disease often face. And you know it’s realistic as Brandilyn herself was healed from this awful disease several years ago. I know. I was one of the authors who took part in the 24-hour prayer vigil for her. What a blessing! What is your current work in progress? I just finished the rough draft of my third novel. About to start work on the next draft. I’m not under contract for it yet, and I can’t say a lot about the plot, but if you enjoyed Thicker than Blood and Bound by Guilt, I think you’ll enjoy this one too. Stay tuned! I can hardly wait to hear the good news. What would be your dream vacation? An RV trip to Colorado. I’ve done it before and it was a blast! I love the Rocky Mountains. Someday I’d also love to spend a week on a working cattle or horse ranch. Not a dude ranch, but a real working ranch where I’d be put to work like anyone else. I don’t know how much help I’d be, but I’d work my tail off for the experience! One of the major settings in both Thicker than Blood and Bound by Guilt is a huge used and rare bookstore called Dawson’s Book Barn. This store is based on the very first bookstore I scouted for as a teenager. That’s my day job---selling used and rare books. So I drew from things I’d experienced or heard others experience for this setting. The other setting is the fictional town of Elk Valley, Colorado. It’s based on a real town I visited and fell in love with in southern Colorado. I love the West, and I knew I had to write about it. Colorado is one of my favorite states to visit. If you could spend an evening with one person who is currently alive, who would it be and why? There’s a horse trainer named Mark Rashid who I would love to sit and watch work with horses. He does clinics, but none of them are near me this year. I know I’d learn a lot by observing. In the past two years I’ve been learning about horses and have taken up horseback riding again. I took lessons as a kid, and my sister and I even had an Appaloosa pony named Raisin as children. I’m enjoying learning about these magnificent animals as an adult. The psychology behind how they think is fascinating. Plotting has been difficult in the past, but I’m learning how to overcome that. Writing a fast first draft has helped me tremendously. Write the book of your heart. Don’t worry about publishers, marketing, editors or readers AT ALL in the beginning. You’ll paralyze yourself. Instead, search inside and listen to that still small voice leading you to the story only you can tell. If you aren’t passionate about your story, it will show on the page. Then, once you finish your first book, get moving on to the next! Then whenever you do receive interest from a publisher you’ll have more than one thing to show them. Bound by Guilt is the story of a teen girl named Roxi Gold who’s been in and out of foster care for most of her life. She longs for a family and will do anything to fit in---even if it’s against the law. Soon she finds herself traveling the country stealing rare books from unsuspecting bookstores. 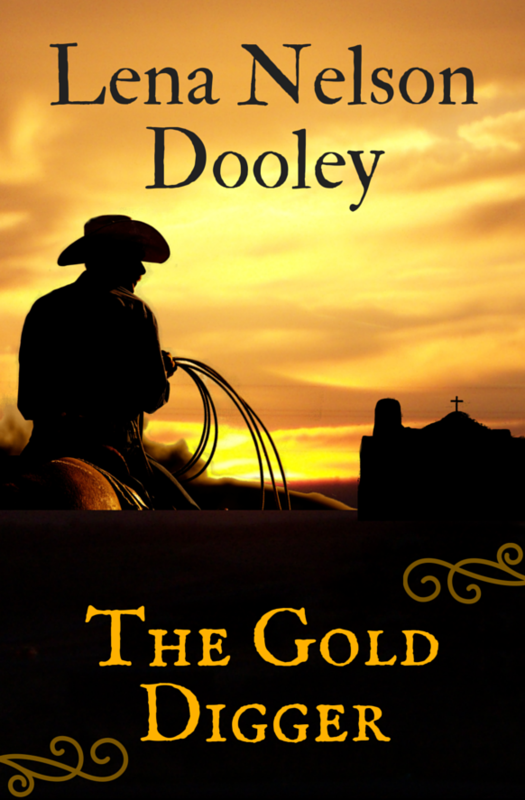 Abby Dawson is a cop who’s seen the worst of society, but not just at work. One fateful night, both their lives are changed forever. One searches for justice, the other finds herself on the run. “Don’t you ever feel guilty?” Roxi Gold cracked open her icy can of Dr Pepper and took a long sip. She bent the silver tab of her soda can back and forth until it broke off in her fingers. A warm breeze blew through the window screen and filled her nose with the scent of dry pine needles. Could that be it? She just didn’t have the guts? Roxi managed a smile. He was right. For the past three weeks she’d been traveling with her seventeen-year-old second cousin and his mom, Irene. The thirty-foot RV was like an apartment on wheels. She’d been to places other people only saw on the Internet, experiencing things she’d never forget. Not all of them were earth-shattering, Grand Canyon moments, either. In Flagstaff, Arizona, she’d seen her first bald eagle perched high in a rustic pine, majestic and totally unreal. She even rode in an Amish buggy in Lancaster, Pennsylvania. I like it. What a hook! I can hardly wait to read it. How can readers find you on the Internet? My website http://www.cjdarlington.com/ is a great place to start. Thanks very much for having me here, Lena! My pleasure, C. J. Come back with the next book, too. If you’re reading this on Feedblitz, Facebook, or Amazon, please come to the blog to leave your comment if you wan to be in the drawing. Here’s a link. Welcome, JoAnn. Tell us how much of yourself you write into your characters. In my debut novel, Awakening, my heroine, Lexa Clarke, is me in several ways - stubborn and feisty, but also resourceful, resilient and fiercely loyal. Like Lexa, I was left on the doorstep of my faith for a number of years. Her grandmother, Nana, is my grandmother – down to stringing pearls on the summer porch and her tales of the “Happy Hunting Grounds” (her term for Heaven). And my father was much like Lexa’s dad. The book’s events parallel my love story with my husband, Jim, who is the inspiration for Lexa’s hero, Sam Lewis. The strength of character, goodness and unwavering faith in Sam is based on Jim. When we first met, Jim was a ministry student at Dallas Theological Seminary and drove an old white station wagon, the inspiration for Sam’s “bomb.” Because I lived this story in several respects, it’s part of my heart. I’m passionate about it, and hopefully that makes Awakening all the more real to readers. My mother says I was always a writer. In first grade, I was promoted into the Red Birds reading group (the highest level) on the very first day. We also wrote stories in that group, and I loved it. The writing was thrilling, but reading our work aloud to the group terrified me. Hard to believe I was shy once upon a time. A few years later, when I sold a joke to a local magazine, my mom told me I should frame the $10 check as my first royalty check. It’s like she knew. Later on, I routinely spent my $5 weekly allowance on three hardback Nancy Drew mysteries and would sneak under the covers with the flashlight to finish the teenager’s latest adventure (I pay homage to the titian-haired sleuth in Awakening). About that time, I started writing all sorts of things, mostly short stories. I knew I’d hit the height of sophistication when I got my first subscription to The New Yorker. I learned from the contemporary masters of storytelling. When I was a young mother in Philly, I started reading Christian fiction and penned my first novel for fun. In a week. I continued writing novels for fun while living in Boston before putting my writing aside for a decade to raise our children. But picked it back up again in late 2008 and began the journey to publication! Through the years, I’ve progressed from Nancy Drew to mysteries by Phyllis Whitney, Victoria Holt, Mary Stewart, and Agatha Christie. Someone gave me a large bag of Grace Livingston Hill books a number of years ago, and it was my first taste of inspirational romances. I read the gamut of classics, and love the dry wit and irony of Mark Twain. He can be caustic, but his observations of life are priceless. Twain’s Innocents Abroad is one of my all-time favorite books. I read very little pop fiction (I got enough of that from my years reading The New Yorker). I embraced Shakespeare (but prefer his comedies), and the Bard’s plays came to life when I visited the Globe Theatre in London (I lived there for 10 weeks on a college program abroad – when the nannies on the highspeed train from London to Scotland gossiped about Charles dating Lady Sarah Spencer, Diana’s older sister). For the most part, I read Christian fiction now. Whatever the genre, I adore a well-written book with humor, great characters, romantic elements (of course) and a moving plot. Believe it or not, writing keeps me sane. It’s my peace, my solace, my private time. My day job is demanding as an estate administration paralegal in a large law firm, and I need the creative release of writing something every night. Our home computer is in the midst of Grand Central Station – TV on, the kids and Jim coming in and out, the dog meandering in for food and/or affection. Listening to music also soothes my soul. I’ll often put on the headphones and zone out with Michael W. and Steven Curtis while I write. Our gracious Lord graced me with an amazing capacity for concentration in the midst of chaos. Perhaps this stems from reading The Iliad and The Odyssey in the snack bar at Ball State University with the jukebox playing and the pinball machine pinging in the background. Somehow, I managed to ace the test. I’m convinced being able to tune out distractions is a gift of the Spirit. There’s no rhyme or reason. What’s really interesting is that I wrote this entire first series (Awakening starts it all) without looking up the names to see what they meant. Not that I take a lot of stock in that. But when I did look them up, it was so uncanny how each one was incredibly perfect! I have one female character where my best friend said, “How could you give her a name like that?” I never liked it, I don’t know anyone with that particular name, but now it’s precious to me. It’s like naming your newborn baby. Don’t you agree children grow into their names? When I “birth” my characters, they also grow into their names. It’s part of the creative process I find absolutely fascinating. Without a doubt, my three children: Sarah, Chelsea and Matthew. They’re growing up so fast, but every year brings new trials, blessings and joys. Matthew is high-functioning autistic, and he’s one of the most loving – and smartest – kids you’ll ever meet. He builds Lego architectural masterpieces from scratch! Sarah’s a college student and Chelsea’s finishing up her senior year in high school. They’re musical, they’re funny, and – most importantly – they love the Lord. If the Lord chose to take me home tomorrow, I’ve accomplished what I wanted on this earth – I’ve found love, I’ve had children, great friends, a wonderful life, and now I’ve published a book. The Lord has been so gracious. I love this thought-provoking question! Probably a jaguar. They’re sleek, strong, agile and quick. Mysterious. Secretive. I’m none of those things now, although I used to be much more agile and could skip faster than any of the kids – girls or boys – in grade school. I have several (and good thing I’ve already had dinner before answering these questions). I create my own dish at Olive Garden with tortelloni (same as tortellini only bigger), alfredo sauce and grilled chicken. I love a good medium-rare steak every now and then with a loaded baked or sweet potato. But those are rare indulgences or else I’d be dead and gone, most likely. I also love fresh veggies and fruits – all of them. My well-meaning pastor husband once announced from the pulpit, “JoAnn loves donuts.” Well, he almost didn’t live past lunch. Jim learned a valuable lesson that Sunday morning – you don’t mention anything about your wife from the pulpit unless you first have her permission. For the record, I like donuts, but that’s about as far as it goes. It wasn’t until I joined the ACFW that I learned about problematic issues with such writing components as POV and backstory. Those happened to be the two I stumbled over the most. Still do at times, fueled by my desire to let the reader know everything about my characters – in the first chapter. You live and learn. Awakening was originally written over a decade ago, and it also needed the most editing. But the basic story never changed. Like everything else, practices makes better (not perfect, but much better). Awakening is a contemporary romantic adventure filled with great characters, plenty of humor, sparkling dialogue, emotion, and a moving plot with adventure and a little mystery thrown into the mix! The best way to tell you about it is to give you the short version back cover copy: Lexa Clarke signs up for a short-term summer assignment in San Antonio with TeamWork Missions, hoping to make a difference in the world. TeamWork director Sam Lewis has a job to do and can’t afford to be distracted by the petite, feisty blonde. But when she tumbles into his arms from the top of a house they’re rebuilding, Sam suspects his life will never be the same. A God-fearing man. A God-seeking woman. A combustible combination. Lexa Clarke was on a roll, and it wasn’t even noon. San Antonio – 40 miles. The highway marker filled her with anticipation. Soon, she’d be a survivor of the four-hour bus trip from Houston. So far, so good. The guy with the beady eyes seated beside her reeked of knock-off drugstore cologne and offered her things, none of them legal. With nearly every seat occupied, she was stuck. Burying her head in her dad’s old police union newsletter did the trick. Smart thinking, bringing that along. The senior flirt across the aisle graced her with a gap-toothed smile and nudged her with his cane a couple of times. A young mother attempted conversation, but finally gave up when her two rambunctious boys demanded constant attention. When Beady Eyes snored – a loud, obnoxious wheeze – Lexa attempted to read her novel, but her thoughts always strayed to the upcoming eight weeks. Maybe building houses in a summer predicted to be one of the hottest on record wasn’t the smartest idea. Lexa swallowed her doubts and lifted her chin. When you want to make a difference in the world, you’ve got to make some sacrifices. The TeamWork driver would pick her up in less than an hour, and then the real adventure could begin . . .
Lexa broke into a grin, equal parts relief and excitement. “Thanks. I’m sure I will.” It might be long hours of hard work with no pay, but it’s how she chose to spend her summer. High hopes should count for something. Very interesting. How can readers find you on the Internet? 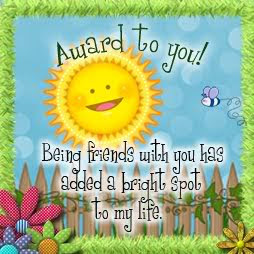 I’m on Facebook and you can send me a message through my website at http://www.joanndurgin.com/. I blog every other Wednesday on Reflections in Hindsight and I’m featured on the 30th of each month on Hoosier Ink. Thanks so much for having me join you today, Lena! I loved answering your fun questions! I’ll be happy to answer any questions, and will check in frequently. And thank you for coming by, JoAnn. If you’re reading this on Feedblitz, Facebook, or Amazon, please come to the blog to leave your comment if you want to be in the drawing. Here’s a link.